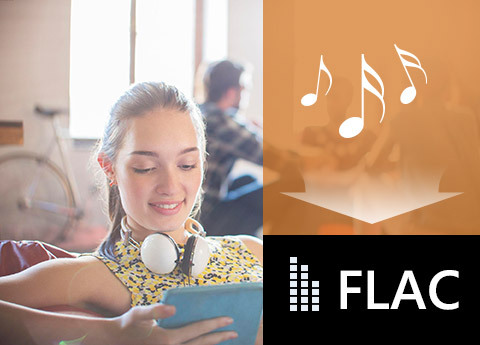 FLAC stands for Free Lossless Audio Codec, which is a kind of high-resolution audio format that has been compressed for easy managing. Due to the reason that this format can’t be widely used in many devices or platforms, people usually want to convert it to a more compatible audio format. 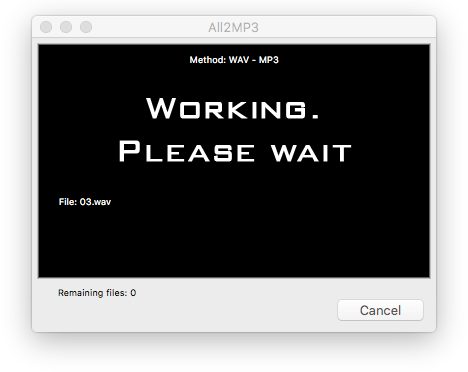 Especially for Mac users, they may find it difficult to play FLAC files on their Apple devices. Now you are just in the right place to solve the problem. In this article, we will help you find the best free FLAC converter for Mac in the market with all the necessary information provided for your clarity. 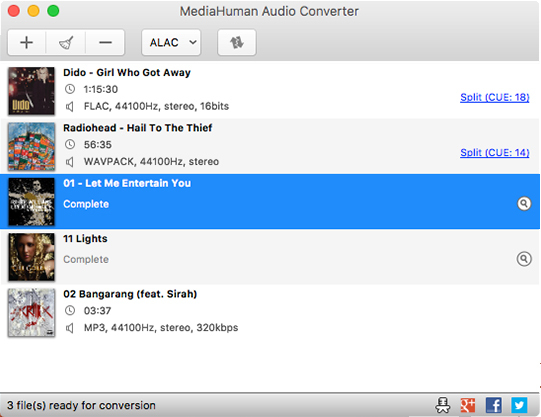 Key Features: MediaHuman Audio Converter is nothing but a completely free audio converter which covers just about any audio format you might come across including MP3, AAC, WAV, AIFF, WMA, OGG, Apple Lossless and many others. Totally free to use without pop-up ads. Capable of converting multiple audio files simultaneously. There might be some slow and unreliable performances sometimes. Switch is one of the universal and easy-to-use audio converters for Mac available on the market. It has both the full version and the trial version and you can only convert audio to MP3 in the trial version. Comprehensive and versatile FLAC converter. Convert Audio Files with high efficiency. The free version only supports MP3 as the output format. Some functions need extra cost for using. Additional software may be contained. 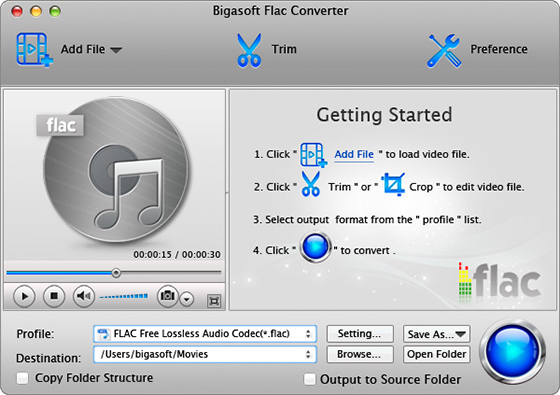 Bigasoft FLAC Converter is specialized in FLAC file conversions that it can convert FLAC to a wide variety of audio formats including MP3, WAV, AIFF, AC3, Apple Lossless and so on. It can also be used as a FLAC editor which allows you to join or cut FLAC files easily. Built-in audio joiner & cutter supported. Options to adjust parameters and edit ID3 info. The trial version contains many limitations. As another popular and free FLAC converter for Mac, Aiseesoft Audio Converter is best known for its ability to extract audio from video files. 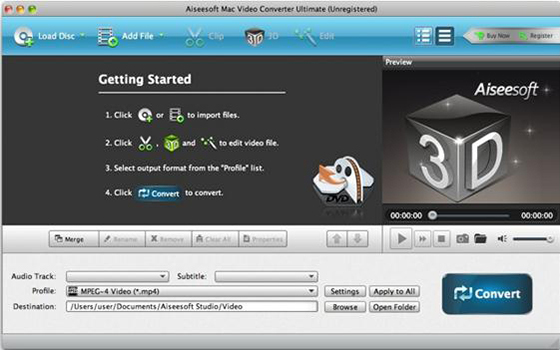 It can batch convert multiple audio files in high quality with fast speed. Customized FLAC file conversion supported. Only 16 audio formats supported. iSkysoft iMedia Converter Deluxe is the last recommendable converter software you should know. It can convert FLAC and more audio formats than you think to a variety of other formats with ease. It converts any number of audio files with lightning speed. Work well with all popular audio and video formats. Conversions are time-consuming at times. Although there are many solutions to help you convert FLAC files, it’s not practical to try them one by one for the best option. All2MP3 for Mac is just the best FLAC converter for Mac you need, which offers stability and speed that most converters are short of. It stands out among other programs with its customized conversion and user-friendly UI. Moreover, you can convert audio files between 50+ audio formats with best output quality. 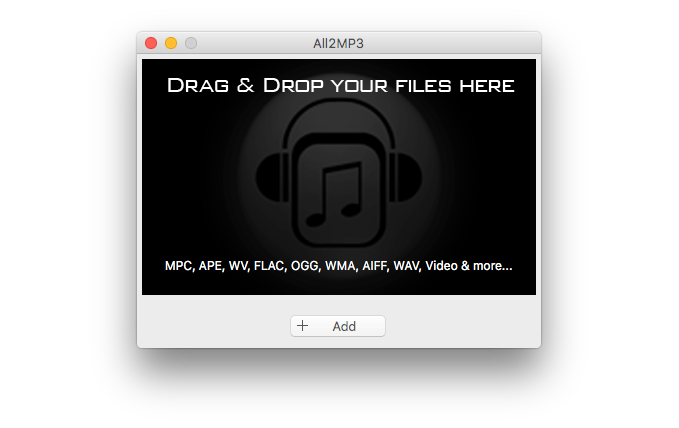 The tutorial below will show how to convert FLAC files with the help of All2MP3 for Mac. Just check it out. Open All2MP3 for Mac after the installation. Next, you can either drag and drop your FLAC files into the program window or use the “Add” button. Drag the slider on the bar in “Quality” section and drop it on the wanted quality level (Less, Middle, Good, Super). Then choose an output folder for saving the converted files with the button of “Change all Paths”. Now click the “Convert” button at the lower-right bottom of the window to start converting your FLAC files. Each audio converter we list above has its own salient features, pros and even cons. Hope this article can help find the right free FLAC converter for Mac for you.